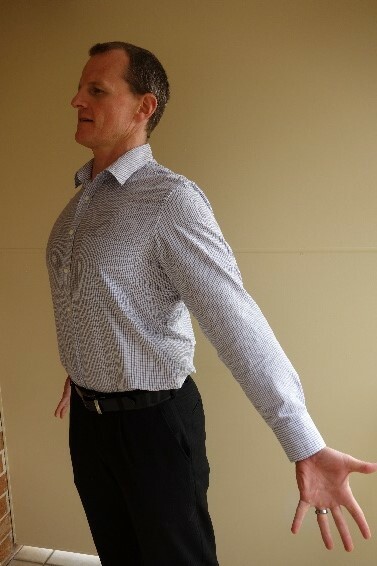 This exercise is designed to help undo some of our poor postural habits and gently mobilise the upper back. 1. 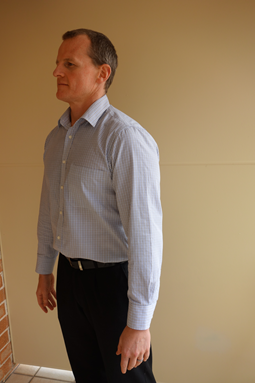 Start by standing up straight with your feet shoulder-width apart. 2. Then as you take a big breath in roll your shoulders back and down, straighten your elbows, wrists and fingers, and turn your palms out. 3. Breathe out and relax back to the start position.